We are casting youth grades K – 12. We need – Actors, Singers, and Dancers. 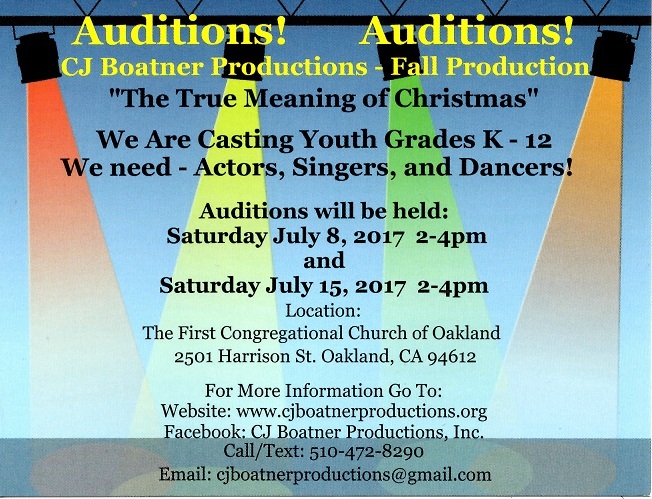 Auditions will be held: Saturday July 8th and Saturday July 15th 2017 2-4 pm.